Gordon Ramsay has recently become almost more famous for his award-winning TV shows Kitchen Nightmares and The F Word, than for his expertise as an awardwinning chef and restaurateur. However, at the heart of his talent is a passion for good food and an eye for perfection that has consistently seen him receive three coveted Michelin stars. 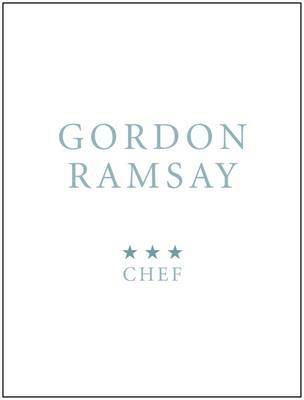 He has been called the best chef of his generation, and this book sees Gordon at his day job - running a three-star kitchen and producing food often described as 'sublime'.Getting right to the heart of why Gordon is such a celebrated chef, the first part of the book shows 50 classic Gordon Ramsay recipes presented as they would be in one of his restaurants. The second part of the book shows the dishes presented in a domestic situation with full recipes and step-by-step instructions to recreate them yourself. Dishes include Gordon's signature Lobster Ravioli, Corn Reared Beef Fillet with Marrow Crust, Ginger Mousse and a Bitter Chocolate Cylinder with Coffee Granite.These specially numbered limited editions are presented in a metal slipcase and perspex box, and are each signed by Gordon Ramsay.